Let us wait for the centre’s final stand. From newspaper reports we heard it is on hold and they are reconsidering, the Supreme Court today said while adjourning the plea filed by NDTV against the one day ban of its Hindi channel for allegedly revealing “strategically-sensitive information” during the course of its coverage of the anti-terror operations at the Pathankot airbase earlier this year. The deferment came after Attornery General informed the bench headed by justice A K Sikri that the Centre is reviewing its ban order and therefore there was no urgency in the case. The matter will be next heard on December five. The news channel has hired legendary lawyer Fali S Nariman to defend it. He also did not oppose to the adjournment of the case after the centre decided that it will reconsidered. The one-day ban on NDTV's Hindi channel, widely condemned, was yesterday night put on hold by Information and Broadcasting Minister Venkaiah Naidu. It is to be noted that yesterday afternoon, representatives of NDTV met with Naidu. They reiterated that NDTV India did not broadcast sensitive details of January's terror attack on the air force base in Pathankot - and that the channel had not been given a fair chance to offer evidence that it did not share any information that was different from what other channels and newspapers presented at the same time. 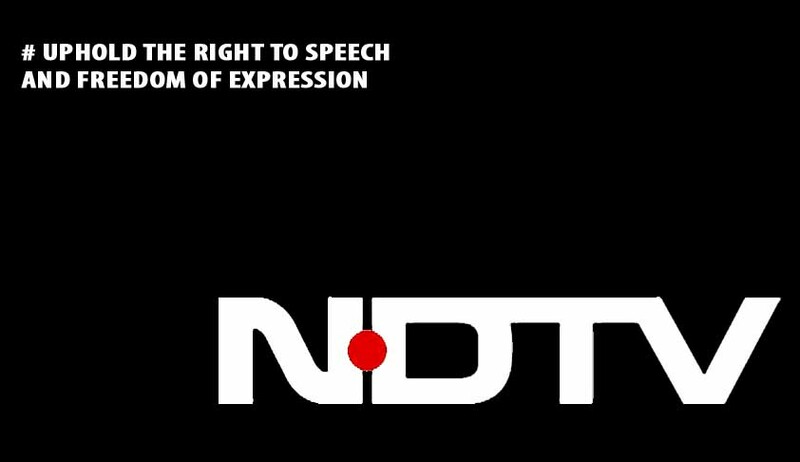 NDTV yesterday knocked the doors of the Supreme Court challenging the government’s one day ban of its Hindi channel for allegedly revealing “strategically-sensitive information” during the course of its coverage of the anti-terror operations at the Pathankot airbase earlier this year. The channel in its petition refuted the allegations and pointed out that other channels and newspapers reported the same information. A Union information and broadcasting (I&B) ministry committee last Thursday ordered that the channel go off air for 24 hours from 00:01hrs on November 9, as it found its coverage of the Pathankot terrorist attack "to be in violation of broadcasting norms." It said the channel gave out sensitive information that could have been used by the handlers of the terrorists involved in the attack. The ban has been condemned by editors and journalists countrywide and parallels are being drawn to the Emergency of the 1970s when basic constitutional rights including the freedom of the press were blatantly violated. Editors Guild of India has already said the order was unprecedented and that the centre appears to have given itself the power "to intervene in the functioning of the media and take arbitrary punitive action as and when it does not agree with the coverage." The organization, a grouping of the editors of all major newspapers and magazines in the country, said if the government finds any media coverage objectionable, it can approach the courts. The first-of-its-kind order has imposed a blackout prohibiting “the transmission or re-transmission of NDTV India channel for one day on any platform throughout India with effect from 00:01 hrs on 9th November to 00:01 hrs of 10th November”. The committee’s order, dated November 2, refers to NDTV’s news telecast between 1225 and 1231 hours on January 4, 2016, while counter operations by the security forces were still on at the Pathankot airbase. It states that the reporter on ground, while replying to questions posed by the anchor, gave out “strategically-sensitive information”. The order mentions that the channel also gave out details of schools and residential areas located at the airbase, endangering the lives of civilians. The inter-ministerial committee has noted that the "telecast was in clear violation of the programme code under Cable TV Network Rules, 1994, which prevents live coverage of anti-terrorist operations by security forces. Until the operations conclude, the rules also limit media coverage to only the briefing given by designated officials which in this case is the DIG, NSG", it said.